The Maxwell School of Citizenship and Public Affairs was established in 1924 to develop public sector leaders who have strong social science backgrounds and the practical skills required to lead large public organizations. Today the School is the home to six social science academic disciplines, an interdisciplinary doctoral program in social sciences, and two graduate professional degree programs that train public leaders for careers here and abroad. With its 157 faculty members, 105 staff, 850 graduate students and 2,000 undergraduate majors, Maxwell members produce a significant amount of new knowledge and educate a large number of students to pursue careers in the public and private sectors, as well as careers as researchers and scholars. For its efforts, Maxwell programs rank highly among their peers because the School attracts talented faculty and students, produces high quality scholarship, and develops already able students into eminent thinkers and analysts. For a complete listing of faculty associated with the Maxwell School, see the “Faculty ” section of this catalog. The School offers master’s (M.A.) and doctoral (Ph.D.) degrees in anthropology, economics, geography, history, political science, and sociology, as well as Public Administration, PhD and Social Science, PhD . In addition, four professional degrees are offered: the Public Administration, MPA , the International Relations, MA , and, for mid-career executives, the Public Administration, MPA and the International Relations, MA . Through its executive education program, Maxwell offers several executive degrees, certificates of advanced study, and training programs for students from a number of countries who may study here for a few weeks or up to a year. Maxwell hosts Humphrey Fellows from a large number of countries; in addition to, Leaders for Democracy Fellows, and Edward R. Murrow Fellows from the Middle East. Each department and program in the Maxwell School gives research a central place in its work. Graduate students are included as partners in intellectual activities and in contacts with the public service. Many faculty members participate in one or more of eight research centers and institutes that provide valuable resources to faculty clustered around significant research topics. Among the research centers at the Maxwell School are the Aging Studies Institute, Program for the Advancement of Research on Conflict and Collaboration, the Center for Environmental Policy and Administration, , the Center for Policy Research, and the Institute for National Security and Counterterrorism. Also serving the Maxwell community as clearinghouses for major domestic and international issues are the School’s two institutes: the Alan K. Campbell Public Affairs Institute and the Moynihan Institute of Global Affairs. Through the involvement of visiting scholars, reflective practitioners, and the community, the institutes contribute to understanding, cooperation, and ongoing dialogue in the areas of governance, law and politics, and citizenship in the United States and interdisciplinary issues of global concern. An Institute for the Study of the Judiciary, Politics, and the Media enjoys input from three different schools - The College of Law , The Maxwell School and the S.I. Newhouse School of Public Communications . Students interested in these centers and institutes should contact faculty in their departments with affiliations in respective centers and institutes. All the centers and institutes welcome interested students who want to learn the craft of research and work and write with faculty. ASI is a collaborative initiative of the Maxwell School of Citizenship & Public Affairs and the David B. Falk School of Sport and Human Dynamics. Its mission is to coordinate and promote aging-related research, training, and outreach at Syracuse University. With over 30 faculty affiliates from more than a dozen departments, ASI provides multi-disciplinary research and education that is relevant to almost every academic discipline on campus. ASI is committed to developing the next generation of scholars and practitioners. It provides education and training opportunities to undergraduate students and faculty members at Syracuse University. ASI supports the undergraduate minor in Gerontology, where students are exposed to a variety of theoretical perspectives, research methodologies, and policy initiatives. It also coordinates and promotes a range of age-related graduate-level coursework that is offered by various SU departments. In addition, ASI hosts the biennial gerontology education workshop for undergraduate- and graduate- level instructors interested in proposing or strengthening aging-related courses. Director Peter Wilcoxen, 419 C rouse-Hinds Hall, 315-443-1890. The Center for Environmental Policy and Administration (CEPA) is an interdisciplinary center within Syracuse University’s Maxwell School of Citizenship and Public Affairs. CEPA explores environmental issues from an integrated perspective that considers technical, social, and humanistic aspects of environmental matters and prepares leaders who can blend those dimensions as they confront the world’s complex environmental challenges. It brings together faculty and graduate students from a range of Maxwell departments, including anthropology, economics, geography, political science, public administration, public affairs, and sociology. Recent work by CEPA members has examined a wide range of topics, including climate change, international trade and the environment, technology and environmental policy, environmental governance and management, environmental issues in developing countries, land use changes, biodiversity conservation, energy policy, the role of environmental advocacy groups, and public attitudes toward the environment. The Maxwell School Center for Policy Research (CPR) conducts a broad range of interdisciplinary research and other activities related to public policy, involving graduate students as assistants and junior colleagues. Faculty consult regularly with government agencies and other institutions concerned with the issues they are studying. The Center includes faculty from several departments within the Maxwell School, mainly Economics, Public Administration and International Affairs, and Sociology. This collection of specialists brings a depth of experience and skill to research and offers students a wealth of opportunity for discussion and advice on their own research, as well as the possibility of research assistantships on projects directed by the faculty. The Center provides a base for visiting scholars from the United States and abroad. CPR also publishes working papers and Policy Briefs, which are available on the CPR website. Director Margaret G. Hermann, 346 Eggers Hall, 315-443-4022; Fax: 315-443-9085. The Daniel Patrick Moynihan Institute of Global Affairs facilitates interaction among faculty and graduate students across the Maxwell School who are exploring the issues raised by an increasingly interdependent world composed of diverse cultures, economies, and political systems. With its interdisciplinary orientation, the institute encourages research that broadens our knowledge about how to improve the quality of governance and citizenship beyond the borders of the United States. An important goal involves translating knowledge into practice by arranging for dialogue and collaboration between institute faculty and students and visiting scholars and practitioners. The institute fulfills its mission by supporting research projects, sponsoring lecture series, providing research fellowships and internship opportunities to graduate students, publishing the products of its working groups, and organizing conferences, credit-bearing seminars, and certificates of graduate study. Current activities take place around both thematic and regional foci. Thematic initiatives include the Transnational Non-Governmental Organization theme, which has as its focus defining what constitutes an effective civil society, understanding the challenges facing civil society organizations that work in a transnational context, integrating the various disciplinary perspectives on civil society, non-governmental organizations, and social movements, and not-for-profit organizations and determining what kinds of skills are needed to lead such endeavors; Transnational Mobility, which focuses on the causes and consequences of the transnational movement of ideas, people, capital, and information; and Transnational Human Security, which centers around issues related to what has been described as human or societal security in contrast to national security. The Institute for National Security and Counterterrorism (INSCT) at Syracuse University was established at the College of Law in 2003 through the vision of Professor William C. Banks, with the support of Dean Hannah R. Arterian. 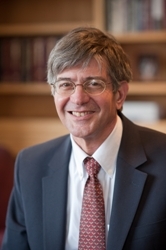 Beginning in the 2004-2005 academic year, the Maxwell School of Citizenship & Public Affairs, with the support of Dean Mitchel B. Wallerstein, joined the College of Law in sponsoring the Institute. The Maxwell School and the College of Law support a systematic, interdisciplinary approach in addressing important questions of law and policy related to national and international security and counterterrorism. INSCT is dedicated to interdisciplinary and innovative research, teaching, and public service. Drawing upon the expertise of affiliated faculty, INSCT’s work addresses key national and international challenges pertaining to security, terrorism and counterterrorism, post-conflict reconstruction, and community resilience. INSCT’s faculty and research fellows strive to deliver cutting-edge scholarship and a first-class educational experience for students and professionals. Through structured guidance and support, INSCT faculty and staff help advance student-based research and analytical proficiency. INSCT also promotes innovative educational programs and student engagement in advanced coursework by way of its Certificates of Advanced Studies (CAS), currently offered in the fields of security, counterterrorism, and postconflict reconstruction. Director Catherine Gerard, 400 Eggers Hall, 315-443-2367. Faculty More than 60 Syracuse University faculty members are associates of PARCC. PARCC is an interdisciplinary program devoted to advancing the theory and practice of the analysis of conflict, the resolution of conflict, collaborative problem solving, and collaborative governance. The primary goals of the program are to develop knowledge about the context and stages of different conflicts and, on that basis, to assess and teach alternate methods of conflict resolution. A special interest is the emergence of collaborative problem solving as a critical skill set for the public sector. The diverse backgrounds of PARCC faculty members and graduate students reflect the program’s emphasis on interdisciplinary research and theory building. They are drawn from the departments of anthropology, geography, history, international relations, political science, public administration, social science, and sociology and from the schools of law, education, public communications, management, and human services and visual and performing arts.. The research interests of PARCC associates may be characterized by a series of questions: What are the significant differences and similarities of various kinds of conflicts? How can theory be made applicable to the work of practitioners and the experience of practitioners contribute to the refinement of theory? How can governments work more collaboratively with citizens? What are the appropriate strategies at different stages of conflicts? How can intractable conflicts be moved to the stage where de-escalation can take place? What kinds of conflict resolution and collaborative methods are effective for different circumstances? Program associates are engaged in studies that relate to collaborative governance, collaborative public management, foreign policy decision making during crises, cultural aspects of conflict, geo-political ideologies, ethnic conflicts, nonviolent means of protest, gender and conflict, community organizing efforts, alternative dispute resolution methods, conflict transformation, interpersonal violence, prevention of disputes through increased public participation in environmental matters, and de-escalating initiatives and peacemaking in Arab-Israeli relations. Other activities of the program include a theory-building seminar, working groups organized around specific research topics, a conflict forum speaker series, and conferences focused on conflict related topics. PARCC is a base for graduate studies in collaborative governance, collaborative public management, conflict analysis and conflict resolution. Twelve-credit Certificates of Advanced Study (CAS) in conflict resolution are awarded to students who meet the established certificate requirements as they complete a graduate degree from SU or the State University of New York College of Environmental Science and Forestry. Mid-career managers may complete the certificate as an independent graduate program. Most students pursuing the International Relations, MA degree take advantage of the global program offerings. Many students choose to find internships abroad and may choose to study at one of several overseas centers. Academic departments and programs each have an array of financial aid, including University Fellowships, graduate assistantships, tuition scholarships, and grants-in-aid. Graduate admissions officers in each graduate program allocate financial aid based largely on merit. Doctoral students generally receive tuition, stipends and health insurance coverage in exchange for teaching or research services. Some students receive University Fellowships. There is more limited funding for master’s students. They are eligible for financial awards, including fellowships, assistantships (partial or full), partial tuition scholarships, and grants-in-aid. Anthropology at Syracuse University is oriented primarily toward sociocultural studies and historical archaeology, with emphases on applied and interpretive research. As a department within the Maxwell School, the graduate anthropology program offers dual degree tracks that include public affairs or public policy. Department strengths include language and power, religious systems, medical anthropology, the social use of terrestrial space, local-level globalization, culture change, indigenous environmentalism, and social movements. The department offers a strong focus on the African diaspora within its historical archaeology program. Interdisciplinary ties within the Maxwell School, with SUNY College of Environmental Science and Forestry, and with SUNY Upstate Medical University enhance offerings in environmental topics, historical preservation, policy planning, international relations, and health-related subjects. Graduate certificates are available for qualifying anthropology graduates in Women’s Studies, South Asian Studies, Conflict Resolution, Cultural Heritage Preservation, Middle Eastern Affairs, and Latin American Studies. Anthropology is primarily a Ph.D. program. A master’s degree may be earned as a step toward the doctorate. While some graduate students are self-funded, most are supported with teaching assistantships and fellowships. Anthropology graduate students comprise a multiethnic international community. More than half are women. The department is sufficiently large to provide focused breadth, yet small enough to encourage graduate students to work closely with faculty mentors. The department participates in the University-wide Future Professoriate Project, which trains graduate students for college teaching and otherwise prepares them for academic and professional careers. Anthropology graduates who have elected to pursue non-academic careers have found employment in governmental agencies and in NGOs. The department of anthropology at Syracuse University encourages students from various backgrounds to seek admittance. Not all entering students have a degree in anthropology; some enter the program with backgrounds in public health, English literature, history, psychology, journalism, or biology. Graduate students are expected to secure outside funding to help support their doctoral research. The department has a limited endowment, the Claudia De Lys Scholarship in Cultural Anthropology, which provides modest support for a few students annually. A formal course in grant writing has proved helpful to many graduates in obtaining funding. The University offers nine-month teaching and research assistantships. Outstanding students are eligible for University Fellowships, and the Dean’s Summer Assistantship. U.S. citizens interested in studying South Asia are eligible for National Resource Fellowships through the SU South Asia Center. Social networks and plantation slavery from colonial to modern in Brazil. The economics department offers separate programs leading to the M.A. and the Ph.D. degrees. The department’s faculty members have an orientation toward applied and policy-related economics that is built on a strong foundation of economic theory and statistical and econometric methods. The department teaches about 3,000 students per year, has approximately 40 doctoral students in residence, and enrolls 30-35 master’s students at various stages of study. The department chooses to be selective in its acceptance of students to its programs and as a result has a low graduate student -to-faculty ratio. The average number of students in an entering Ph.D. class ranges from 8 to 12 with a somewhat larger number entering the M.A. program. This small size allows for more interaction between faculty and students than is found in other programs with larger numbers of students. The department enjoys strong loyalty from its many distinguished alumni, who have positions in academia, business, and government. The Syracuse University Department of Geography is an integral component of the Maxwell School and of the College of Arts and Sciences. Interdisciplinary work has always been a particular strength. Specifically, in addition to our expertise in cultural, economic, environmental, historical, physical, and urban geography, and in geographic information and analysis, we maintain active links to several Maxwell programs, including the Center for Environmental Policy and Administration and the Moynihan Institute for Global Affairs. Strong links also exist with earth sciences, civil and environmental engineering, the School of Architecture, and with the SUNY School of Environmental Science and Forestry. Finally, the department has long valued investigating geographical processes in a wide array of regions, places, and landscapes. Recent graduate students have conducted field research in the Caribbean, Latin America, South Asia and Europe, as well as in the U.S. and Canada. Culture, Justice, and Urban Space: Syracuse geographers join the study of urban landscapes, politics, and processes to broader struggles for racial and gender equality, social justice, and political transformation. Through projects that range from constructing urban geographies of memory to examining the relationship between immigration and changing racial formations in cities to analyzing struggles over and for urban public space and the right to the city, our faculty draw on a variety of methodological and theoretical perspectives, particularly social theory, to interrogate the production of urban spaces and experiences. Environmental Science and Landscape Dynamics: Physical geographers at Syracuse University focus on spatial and temporal aspects of environmental science, with the aim of clarifying the dynamic processes that shape the earth’s landscapes. Faculty conduct research in four broad areas: human and natural disturbance impacts on riparian habitats and forest ecosystems; development of field and analytic techniques for examining recent and Pleistocene environmental change; processes and implications of sediment transport in rivers; and climate - land-surface interactions. Graduate students have use of our newly renovated Physical Geography Research Laboratory, which is equipped for a variety of soil and sediment analyses, and includes a Sedigraph 5120 for particle size analysis. Gender, Identity and Citizenship: At Syracuse, geographers study gendered spaces of everyday life as sites of oppression and resistance where identities are made and re-made across the landscape. We examine the gendering of geopolitical relationships that structure human migration, labor practices in the global economy, gender and the city, memory, social justice, historical geography, feminist methodologies, and other critical standpoints from which to study men’s and women’s places in the world. Central to each of these themes is a re-working of the concept of citizenship. Geographic Information Technology: Faculty in the Geospatial Information, Analysis and Modeling focus have a range of research and teaching interests, including cartography, applications and methods in geographic information technologies (i.e., geographic information systems, computer cartography, remote sensing, multimedia), spatial analysis and modeling, and hydrological and ecosystem modeling. Faculty and graduate students conduct research on a range of key societal and environmental issues, with recent topics including geospatial surveillance technologies; modeling channel migration; applications of satellite remote sensing to studies of tropical forest structure, demography, and certified forestry; and GIS mapping of hunger and related issues in the City of Syracuse. Graduate students train and conduct research in both our Geographic Information and Analysis Laboratory and our Integrated Spatial Analysis Laboratory, which was funded by a Major Research Instrumentation grant from NSF. Globalization and Regional Development: At Syracuse, geographers research the relationship between flows and networks of activity, interaction and power that are producing an increasingly interconnected world, and the historical and geographical contexts within which the lives of people, and places, are being transformed. By focusing on globalization processes, we examine the complex and often contradictory mechanisms through which flows of capital, people, information and knowledge are sped-up, spread-out and made more intensive. By focusing on development, we pay particular attention to the inequalities created by these flows among groups, and in spaces and places that have been historically marginalized or subject to control within national and international systems. Nature, Society, Sustainability: Nature-society scholarship at Syracuse University includes land use and land cover change in tropical forests using remotely sensed data, environmental history of western North America, the political ecology of rural livelihoods in Andean South America, and the environmental impacts of the mining industry. Syracuse geographers also study sustainable development, nature conservation and protected areas, forest fire dynamics and management, environmental mapping and its societal impacts, media coverage of environmental issues, and human impacts on climate, vegetation and landform processes. Political Economy: Syracuse geographers understand political economy to be a social relationship. This social relationship is deeply geographical: our research starts from the understanding that social relations, social struggles, and social justice are all intricately related to the ways that political-economic processes are imbricated in and transformed through spatial relationships. In addition to understanding the relationship between political economy and geography, we seek to understand the relationship political economy and gender; political economy and labor; political economy and the restructuring of places and regions; political economy and culture. In all of these we want to understand how space, place, region, and scale structure and restructure political economic processes, even as political economic processes restructure space, place, region, and scale. Within the framework of the principal clusters, students pursue individually designed programs, assisted by their advisory committee. The goal is to maintain and enhance an open intellectual environment with continuous interaction between graduate students and departmental faculty. In support of this, distinguished scholars and professionals are regularly brought to Syracuse for seminars, lectures and symposia. The department also participates in a variety of interdisciplinary programs in the Maxwell School and maintains strong links with other parts of the campus, including the State University of New York College of Environmental Science and Forestry. Normally the department has about 30 resident graduate students. Each student has an advisory committee, consisting of the principal advisor and one or more faculty members. The committee advises the student and regularly evaluates progress toward the M.A. or Ph.D. degree. The history department has been granting M.A. and Ph.D. degrees since 1871. As part of the College of Arts and Sciences and, since 1924, the Maxwell School, the department has links to both the humanities and social science programs of the University. The early development of the department received special impetus with the acquisition of the personal library of about 20,000 volumes of the great German historian Leopold von Ranke. Today it is one of the major European history collections in the United States. There are also substantial collections of primary materials dealing with the history of East Africa, the United Kingdom, and the United States. A major emphasis in the M.A. and Ph.D. programs is the development of skills necessary to pursue original research. The training in both programs is valuable for careers in business, law, government, the media, archival work, and education. The department has placed its recipients of graduate degrees in state and federal research positions, in local historical agencies, in libraries and archives, and in business, as well as in colleges and universities across the nation and abroad. Established in 1924, the department of political science is a national leader in graduate training. The curriculum is divided into seven fields: American politics, international relations, comparative politics, political theory, public administration & policy, law & courts and security studies. Master’s students are not bound by any specific field requirements. Ph.D. candidates must declare a major and a minor field or two major fields; they must take at least four courses in each major field and three courses in a minor field. Most Ph.D. students in political science receive financial aid, most commonly department assistantships. Students may also be funded by SU fellowships. The Department of Public Administration and International Affairs offers management and policy coursework that explores a broad range of topics underlying today’s global challenges. Modern society demands imaginative and sensitive leadership, and highly skilled public managers and policy analysts. The faculty in this department educate students for careers that serve the public good across sectors, fields and nations. Inaugurated in1924, under the leadership of Dean William E. Mosher, Maxwell’s public administration program is the oldest graduate program of its kind in the United States. Since its founding, the program has exercised major influence in the growth and development of the field of public administration and policy. The school’s first dean was instrumental in the founding of the American Society for Public Administration (ASPA), serving as its first president, and the Public Administration Review was founded at Maxwell in 1937. Since then, the department has expanded its scope to consider the political, economic, and social context of public administration and international affairs broadly, offering degree programs aimed at achieving substantial competency in institutional design, policy analysis, management and administrative techniques, policy implementation and collaborative governance. The programs also provide experiential learning opportunities that ensure graduates are able to effectively apply core skills to management and policy issues. More than 8,000 alumni of the department’s programs are employed in federal, state, and local governments, non-profit agencies, foundations, private firms, and international organizations and NGOs worldwide.They are leaders across all these sectors, working on public policy and management issues, both domestic and international in focus. Graduates of the Ph.D. program are well-represented on the faculties of most other leading schools that offer graduate education in public administration and policy. Global and inclusive in perspective, the Sociology curriculum has been designed to reflect on-going changes in society and the discipline. The graduate program offers training in sociological issues, theory, and practice. It also provides opportunities for joint degrees or collaborative study with many departments and multidisciplinary research centers at the Maxwell School and in other schools and colleges across the campus. Students may also focus on specific geographical areas, including the United States, Asia, Africa, and South and Central America. A core theory course incorporates classical foundations of Sociology, as well as more contemporary sociological theory. The Department’s strength lies in its teaching and research in four major areas: (1) globalization, immigration, transnational studies; (2) health, aging, life course; (3) family, education, work; (4) power, capital, culture. After doctoral students complete the coretheory, qualitative and quantitative research methods courses, they pursue advanced study, and develop one or more substantive areas of specialization. This portion of the program is highly individualized and includes some combination of advanced seminars, directed studies, apprenticeships, and participation in Maxwell School programs and research centers. Although Sociology offers M.A.and Ph.D.degrees, the program is structured primarily toward students who are pursuing a doctoral degree.The M.A. requires 30 credits, including:12 credits of theory, methods, and statistics; 6 credits of advanced Sociology seminars; and 12 additional credits of graduate courses in Sociology or related fields. A master’s thesis option may be substituted for six hours of graduate credit. The Sociology Department typically admits five to seven new graduate students each year. This small class size allows students to develop a close relationship with faculty members and extensive involvement in departmental activities. Graduate students serve on departmental committees. All graduate students are encouraged to work closely with faculty advisors to develop their own courses of study. Students are encouraged to develop and present their research at professional meetings and to publish in journals of the discipline, as well as relevant specialty and interdisciplinary journals. Financial support for conference participation is available. Joint publication with faculty members is also encouraged, as is participation at the Maxwell School’s multidisciplinary research centers. In addition to scholarly research activity, the Sociology Department stresses teacher training. It is an active participant in the University’s Future Professoriate Program, which helps students develop their teaching skills in a heavily mentored and supportive environment. Most graduates obtain academic positions in teaching and research colleges and universities.